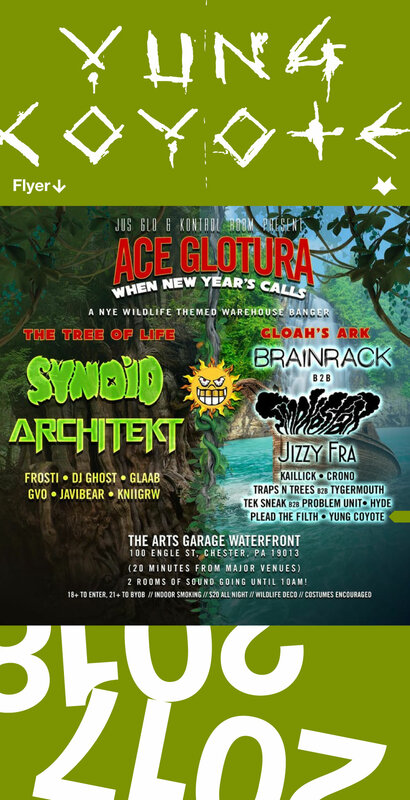 Yung Coyote performs at Ace Glotura near Philadelphia, this New Year's Eve/New Year's Day. The event is hosted by Jus Glo and The Kontrol Room. See the Facebook event page for full details.